The Certified Post Merger Integration Professional (CPMI) is a tailored program to address the needs of advisors, Human Resource professionals, Project Managers, management consultants, change specialists, corporate M&A and integration teams. The program covers all aspect of the post-merger integration process from planning to implementation. The CPMI program is the only globally oriented Post Merger integration certification in existence and is internationally recognized. The Post Merger Integration program dives deep into the integration issues post acquisition or merger. It covers pre-closing preparation in terms of strategy, synergy identification, and integration planning as well as actually running and implementing the integration in terms of integration governance and project management. Also integration issues and aspects of different core functions, such as marketing & sales, finance, human resources, etc. are covered. Last but not least, there is an additional emphasis on chanage management in order to make the integration a success. Whether you are invovlved in the integration as part of the acquiring or target compnay or assist clients as a consultant, this program will help you to understand the complexity in integration in its entirety and do a better joib in dealing with its complexity. Connect strategy with integration planning and design during the transaction, due diligence, and negotiation phases. Explore and corroborate the various synergies that can be achieved in different functions and the business be it cost and/or growth synergies and how to realize them. Learn from our experts how to successfully implement the changes needed to align your goals, bringing organizations together and making the integration a success. 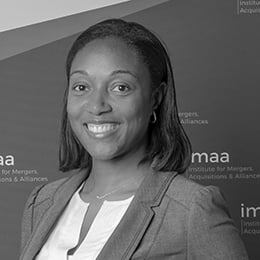 The CPMI program is structured in four modules based on our IMAA Framework and Body of Knowledge for Mergers & Acquisitions. It is available to take online or onsite. The module on Change Management will specifically address these issues in the deal environment and how to bring change successfully to organizations in the post acquisition or merger phase. Challenges in Change Management and M&A: Why it is needed and how to overcome the merger syndrom? How to deal with individual employees and groups in their different status in the integration journey? Factors needed for successful change. The general syndroms of resistance to change and how to overcome them. Day 1 and Change Management: The psychological shift in the M&A process from pre-deal to Day 1. The different dimensions and transition. Important workstream considerations for Day 1. Cultural Assessment and Integration: Dimensions and categories of cultural assessment. Types of cultural integration. How to integrate the different business functions, e.g. Sales & Marketing, Finance, HR, etc. Communication: Pre-closing and post-closing communication. Internal and external communication in integration. Stakeholder expectations and management. After successfully completing the course, you will receive the CPMI Charter. The COMI designation is the most internationally recognized designation offered in the field of Post Merger Integration. This charter signals to peers, clients, employers, and other professionals that you have completed the most comprehensive PMI education program available and are proficient in all areas of the mergers and acquisitions process. I very much appreciated the direct interactions and active discussions with other participants each with a different background. In addition, learning from and discussing with the experienced professionals who were leading the course was highly valuable. 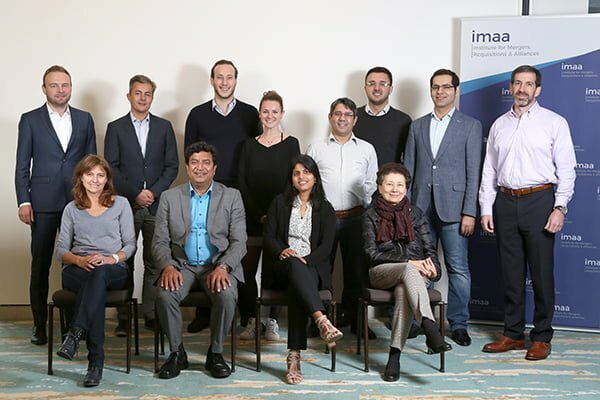 It was also great to look at PMI from different but at the same time often interlinked perspectives which in the course of the program increasingly became part of an overall framework. The CPMI course was a great event, really a pleasure to be part of it. 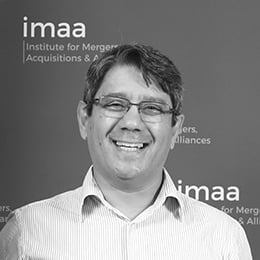 You cannot have any better than the Post Merger Integration training by IMAA. The quality of the material and subjects covered were comprehensive and exceptionally well deployed. The share of experiences of real-life situations from such bright trainers, as well as trainees, have enriched the content and enlengthening the minds. 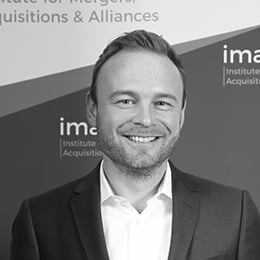 It is a privilege to be a CPMI Charterholder and to continue having access the extensive library, the course and additional materials, that document many years of experience and research on the knowledge areas of Post-Merger Integrations. I had the pleasure to attend the onsite training for the CPMI certification program. It was one of the best experiences to network and gather best practices from practitioners around the globe. What I appreciate the most is the small class size that allows more collaboration amongst the attendees and the facilitators. Real world, international experiences that were shared were invaluable and motivated me to continue on my career path. The onsite version is held in an intensive five-day program and taught by leading faculty members in the industry and specialized subject matter experts to provide participants with the most up-to-date and practical content available. The faculty combines global thought leaders and regional experts. The onsite training allows participants to ask questions and network with an elite and diverse group of professionals. Take the online certificate program while working and without travelling to any course location. Available entirely online. All course materials and fees included. Register now to start your Post Merger Integration Certification program! This program is taught by international faculty with experience of PMI globally as well as within South East Asia. Meet and exchange best practices in integration particularly with post merger integration veterans from the tech sector share their experience. Learn and network with professionals and faculty from some of the fastest growing and most innovation companies also in the field of M&A and Post Merger Integration. Meet and exchange best practices with an international mix of professionals centrally located in Europe.